My gums are bleeding. What does that mean? Almost on a daily basis I hear patients tell me, "I don't like to brush/floss because it makes my gums bleed and it hurts!". It can be very scary to rinse with clean water, only to spit bloody water into the sink. Then you look in the mirror and realize there is blood around your teeth at the gumline. Bleeding from the gums is almost for sure a sign of a gum infection. We call it one of two things. 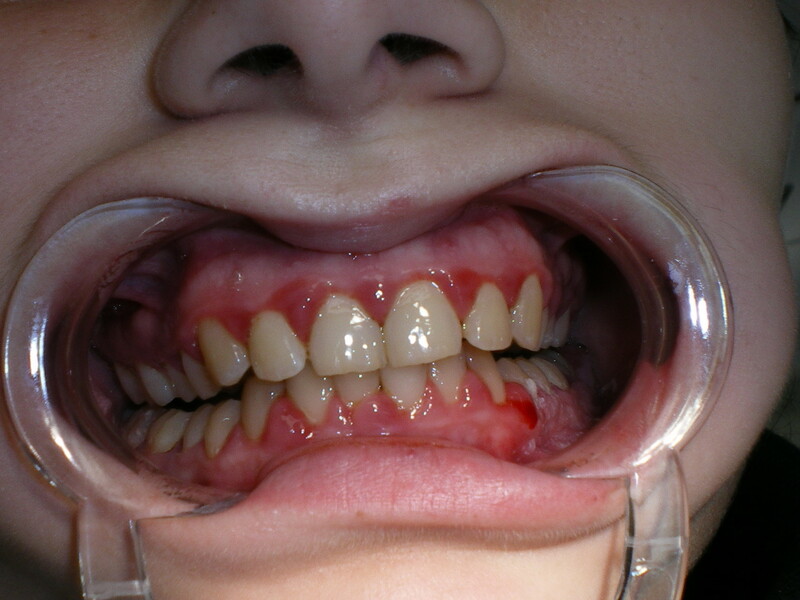 Gingivitis and/or Periodontitis. They are both caused by an infection in the gums around the teeth. One of them is more severe than the other. So what do you do for bleeding gums? 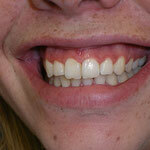 -You need to see your dentist or dental hygienist right away. If you can't get to your dentist right away start by brushing Listerine into your gumline with a soft bristled tooth brush just before going to bed. Make little circles and not sawing motions. You are trying to get some of that Listerine up under your gumline. Swishing with it just isn't as effective as brushing with it. I said Listerine on purpose. Don't use Scope or a knock off Scope. Listerine has been proven to reduce the number of bacteria where applied in the mouth. -You have to brush even if you bleed, and you must floss. I know I know, flossing really hurts. That's because it is really getting in there and cleaning out the areas where the bacteria taking hold. Once you have brushed, flossed, and brushed on some listerine for a week or two, your gums will toughen up and it won't hurt to clean them anymore. What if, when you washed your hands, blood oozed out from around your finger nails? Would you just stop washing your hands and hope the bleeding from your fingernails would go away? Hopefully you would realize the stuff stuck under your nails is causing your fingers to bleed, and you would clean them out. The main problem is some of the infectious tartar cannot be cleaned out with floss and a toothbrush. It has attached itself to your tooth roots. That is where that handy tooth scaler comes in to play. The dentist or hygienist can scrape that tartar off. Bacteria love to live in tartar. It's like a tropical paradise for them. If that tartar has attached to your tooth under your gumline then you will need a deeper cleaning to get it all out. If you don't get that tartar out eventually your teeth will become loose and fall out. Most of the time it is a slow process, so you will have plenty of time to get in and get those teeth cleaned up. 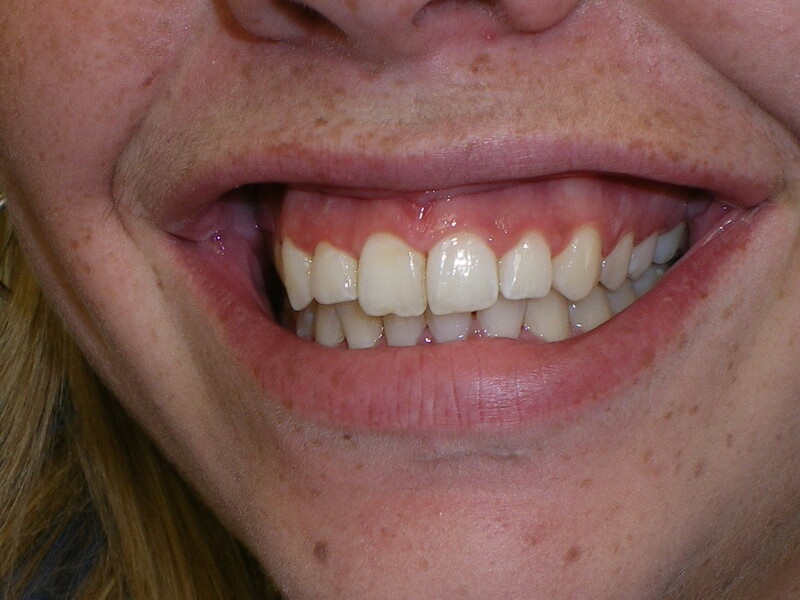 Some people do get an aggressive form of periodontitis and can lose their teeth quickly.